Orange Lemonberry – Essex County Naturals. 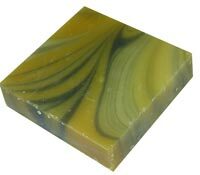 A joyous splash of fresh Brazilian Sweet Orange and Chinese Lemonberry essential oils lifts tired spirits while brightening all that surrounds you. 100% natural non irritating formula gently cleanses skin, calms skin irritation and helps brighten the complexion without drying. Unique lather caresses your skin like a soft silky glove. TIP: Combine a matching bubbling bath melt, mineral body salt, bath and body oil, skin butter, body scrub and room fragrance in the same aroma to create your own Sweet Orange Lemonberry scent line. Feel free to create your own product names and descriptions to suit your brand theme and image.